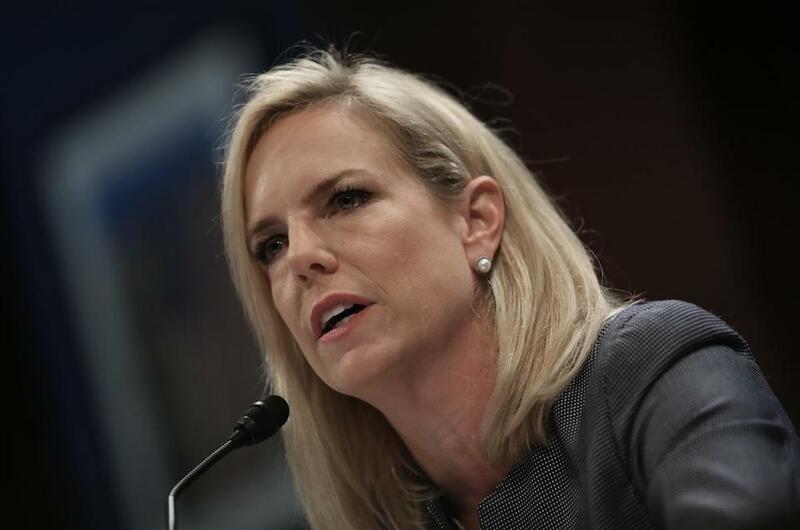 Homeland Security Secretary Kirstjen Nielsen announced the termination of the South Asian country’s protected status on Thursday. Thursday’s announcement by the Department of Homeland Security that it was terminating the status of a group of federally protected immigrants — this time Nepali — is the latest move by the Trump administration to expel foreigners living in the United States who have some form of provisional status. The humanitarian program has given refuge to about 9,000 people from Nepal, including about 500 in Massachusetts, since June 2015. A devastating 7.8 magnitude earthquake near the country’s capital killed thousands and triggered a deadly avalanche on Mount Everest. TPS protects immigrants from certain countries affected by crisis or natural disaster from deportation, allowing them to live and work in the United States legally. But it is not a track to permanent residency or citizenship. Nepal’s TPS designation expires June 24, 2019, giving families 12 months to get their affairs in order and “time for Nepal to prepare for the return and reintegration of its citizens,” said a statement Thursday from Homeland Security Secretary Kirstjen Nielsen, announcing the termination of the South Asian country’s status. Advocates for the Nepali community disagree, saying the current conditions of the country render it incapable of re-absorbing its citizens. The 12-month reprieve is not enough, he said. But it’s about the same amount of time federal authorities gave Salvadorans, Haitians, Nicaraguans, and Sudanese – many of whom have lived for decades in the United States with Temporary Protected Status — when terminating those country’s designations. Some countries, though, were given 18 months. Immigration advocates have heavily criticized the administration’s decisions to rescind TPS, particularly for people from Haiti and El Salvador, arguing that racial animus has been the deciding factor, not disaster recovery. A country’s designation lasts six to 18 months and is renewed at the discretion of the executive branch. The administration has extended the status of three countries — Syria, South Sudan, and Honduras, though Hondurans were put on notice in November that “it is possible” their protections could end in six months. The deadline to determine whether nearly 60,000 Hondurans will have their status renewed is scheduled for early next month.